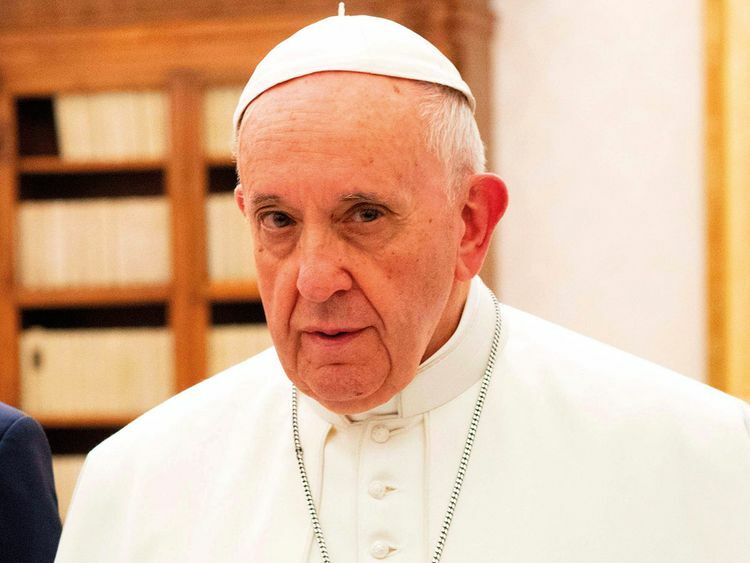 VATICAN CITY: Pope Francis has extended his warm greetings to the leadership and people of the United Arab Emirates ahead of his visit to the country from February 3-5, 2019. He described the UAE as a "country that is striving to be a model for co-existence, human fraternity, and meeting of faiths and civilisations." In a video message released by the Vatican, the Pope stressed that the UAE was a "country where so many people find a safe place to live and work with freedom that respects differences." He said he was "delighted to be meeting with a people who live out their present and look forward to the future." Quoting the late Shaikh Zayed Bin Sultan Al Nahyan, Father of the , the Pope said, "True wealth lies not just in material possibilities. The real wealth of a nation is the individuals who hear the sound of their future." Pope Francis thanked His Highness Shaikh Mohammad Bin Zayed Al Nahyan, Crown Prince of Abu Dhabi and Deputy Supreme Commander of the UAE Armed Forces, for inviting him to "take part in a dialogue of religions titled ‘Human Fraternity’." He also extended his gratitude to the UAE authorities for their "excellent cooperation, great hospitality and brotherly welcome." He went on to express his gratitude to "my brother and dear friend Dr. Ahmed Al Tayeb, Grand Imam of Al Azhar." Dr. Al Tayeb is also taking part in the ‘Human Fraternity’ dialogue. Pope Francis thanked them all for "their courage and determination in stressing that faith in God unites us all and never divides." He concluded by saying that he looked forward to "meeting with the Zayed family at the Zayed home, home of prosperity and peace, of co-existence and collaboration." “We warmly welcome you Holy Father, Pope Francis and look forward to the historic Human Fraternity Meeting between you and His Eminence Dr Ahmad Al Tayyeb, Grand Imam of Al Azhar Al Sharif, in Abu Dhabi,” His Highness Shaikh Mohammad Bin Zayed Al Nahyan, Crown Prince of Abu Dhabi and Deputy Supreme Commander of the UAE Armed Forces has tweeted.